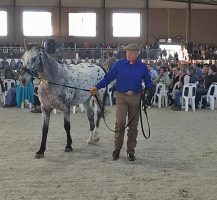 One of the highlights for me was meeting Monty Roberts – a famous international figure in the equestrian world; the horse whisperer from the United States. 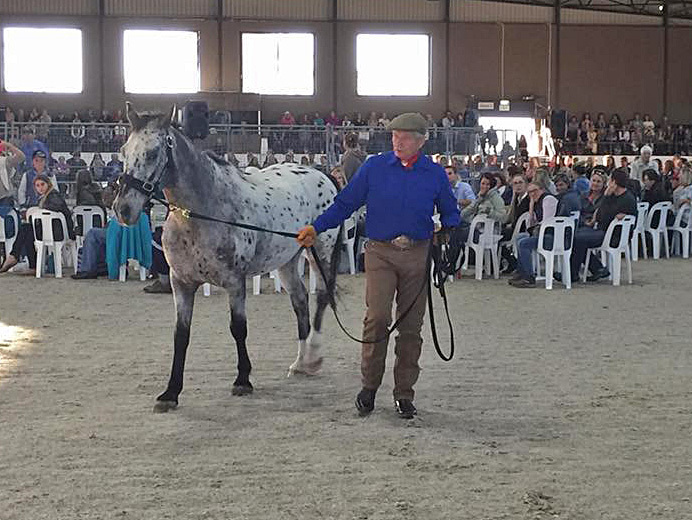 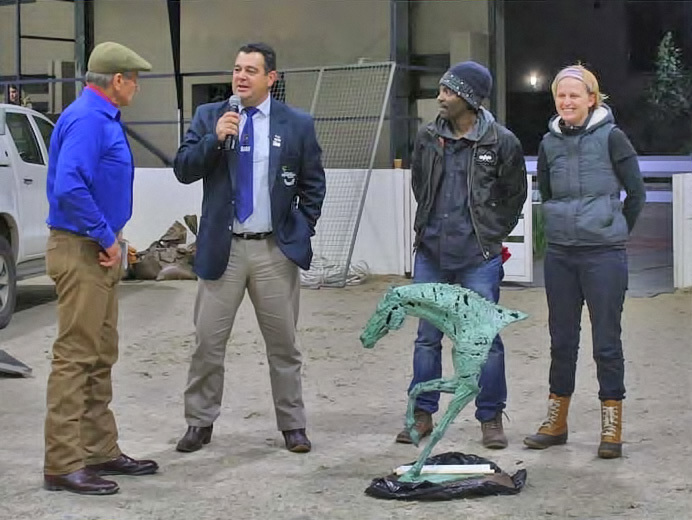 The Cape Town leg of the Monty Roberts SA Tour kicked off at the Mistico Equestrian Centre. 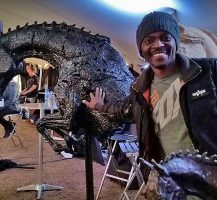 It was here that I had the honour to meet him, talk to him and watch what he does best. 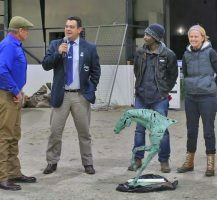 The way in which he conveyed his understanding of horse communication through behaviour and body language, with the goal to help horses, was incredible to watch. 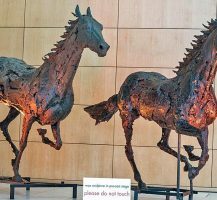 It broadened my understanding of horses and horse language, which is one of the key things I strive for when I study my subject. 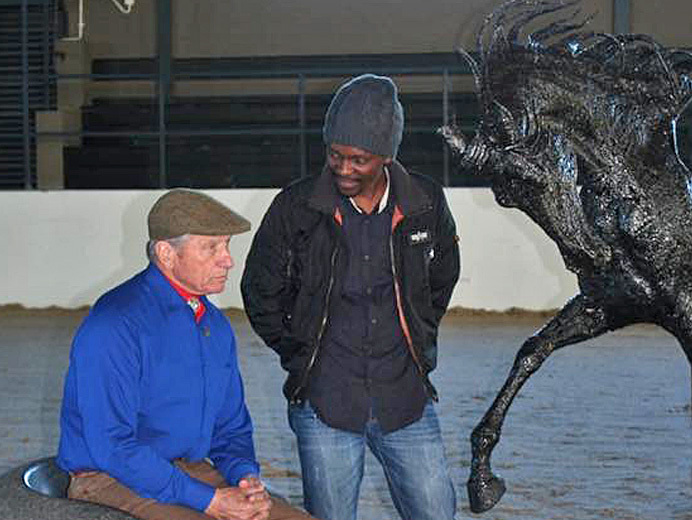 As a parting gift from South Africa, I gave him one of my sculptures. 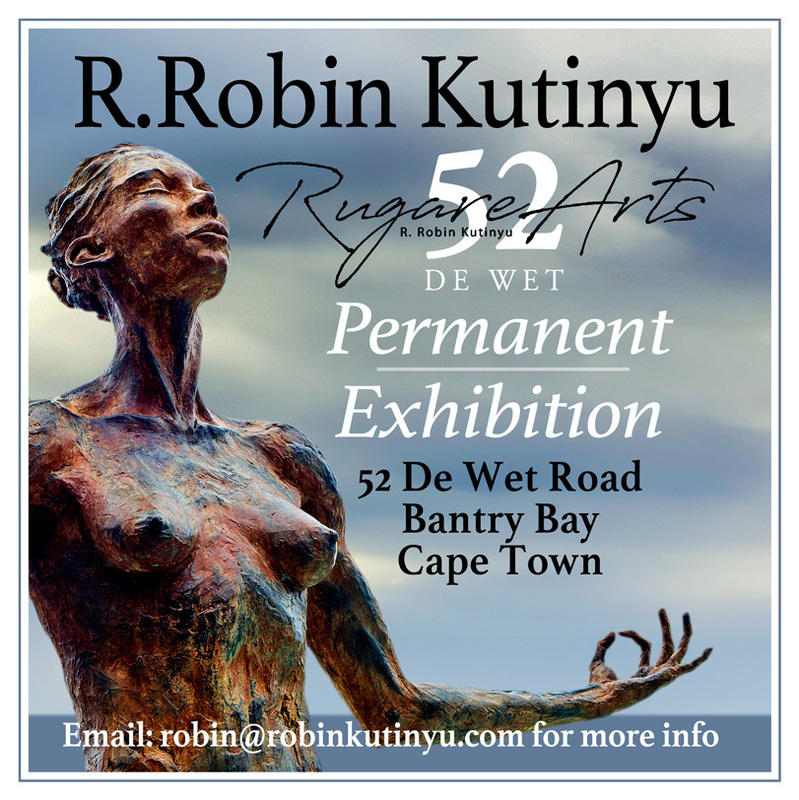 Since 2015, I’ve been on a quest to increase the percentage of my work that I wish to keep in SA. 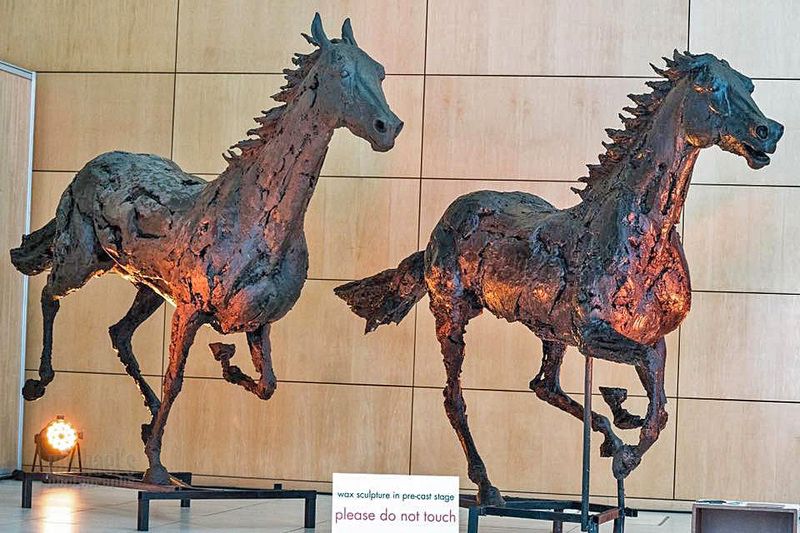 After some research, I started doing exhibits and marketing around the equestrian industry. 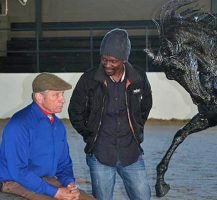 I was lucky that one of my clients, who have been supporting my work for years, introduced me to the South African racehorse industry. 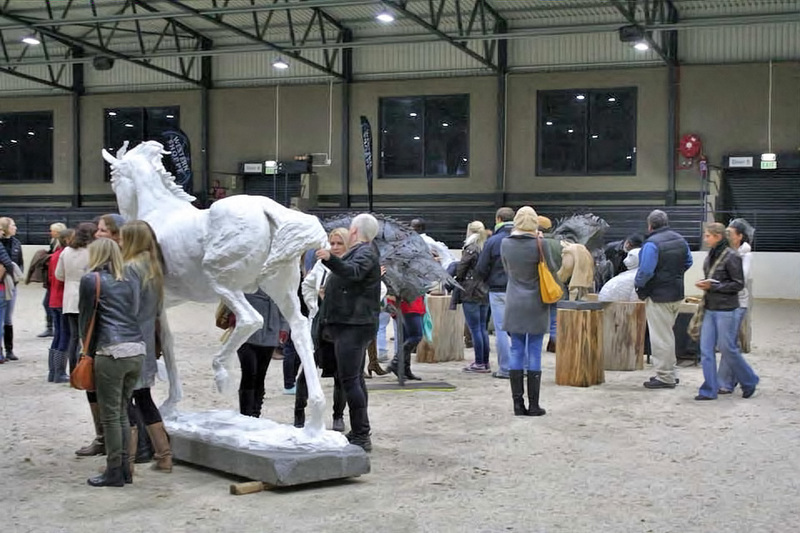 A new world presented itself in the form of annual exhibitions, features at horse racing events and equestrian-related opportunities. 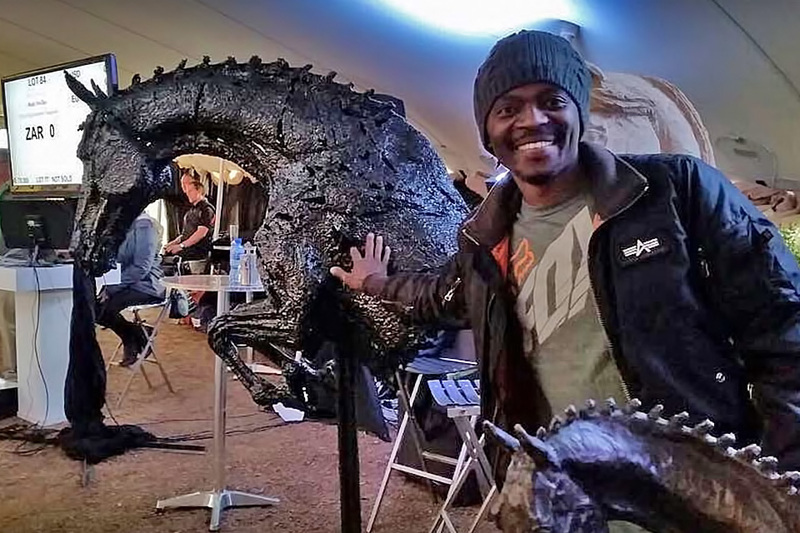 It opened my eyes to another side of my industry that many may not have explored yet. 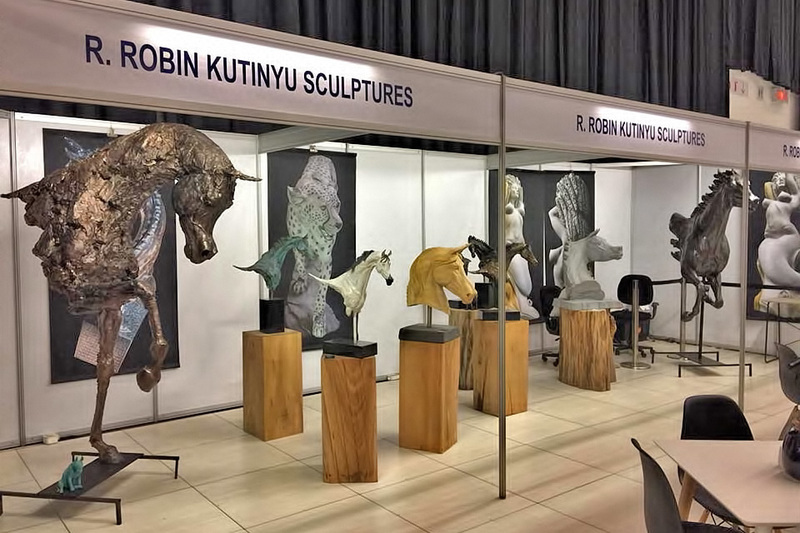 Now I have an annual exhibit at the Cape Premier Thoroughbred Sales at the CTICC as well as regular exhibits throughout the year, in and around the thoroughbred industry in Cape Town, most notably the yearly exhibit at Klawersvleistud farm.